Join SAFE Haven for Cats for the 6th Annual Run for Their Lives 5K to raise money for homeless pets on Saturday, October 20, 20178 The race will start and finish at SAFE Haven for Cats and you will have an opportunity to visit with all the cats and kittens on Race Day! Registration 7:30 – 8:30 a.m. Competitive Race starts – 8:30 a.m.
Fun Run/Walk starts – 8:40 a.m.
Join fellow animal lovers in warm-ups before tackling a unique course that may be new to you. Our 5K features some long grades up and down, a view of a geese-filled lake and a challenging start and finish. Lace up your kicks with SAFE Haven for Cats for the 6th Run for Their Lives 5K to raise money for homeless cats on Saturday, October 20, 2018. The race will start and finish at SAFE Haven for Cats (8431-137 Garvey Drive, Raleigh, NC 27616). For all ages and very family friendly the race is in North Raleigh where parking is easy and we are near Wake Forest, Rolesville and Zebulon too. The event includes a timed 5K race and an untimed 5K Fun Run/Walk. Dogs can run/walk with their owners in the Fun Run/Walk and strollers are welcome too! The Triangle Sax Ensemble is a group of musicians who like to play their saxophones for Triangle area community or private events. We look forward to playing some lively music during the “Race for Their Lives” 5K fundraiser, our musical way of supporting SAFE Haven For Cats on October 20. We hope to spur on the runners and walkers with our light swing and jazz, ragtime, and popular rock-style music. We have lots of vendors from fitness experts to the latest in pet items from local pet stores. You can shop for cute cat beds and doggie leashes! This event is for competitive runners, recreational runners, walkers, families and individuals. Join us and 300 of your closest animal lovers to help save lives. What is the best thing about SAFE Haven’s 5K? That after you finish your race you can come inside SAFE Haven and pet kittens. AND you can see all the wonderful cats we have for adoption. This is surely better than being blasted with dye, right? The Triangle Race Series is a collection of 25 select races across the Triangle and beyond. 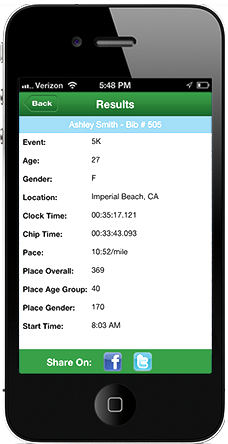 The Series allows runners to earn Series points and prizes based on their age group ranking. Complete just 4 of the 25 races during the year and you are eligible for Series awards and swag and you will score an invitation to the wonderful Triangle Race Series Banquet. RUN: If you want to participate in the 5K select the “Register Now” button above. The registration page will have several ways to register. Choose from the timed 5K race or untimed 5K Fun Run Walk. WALK: If you are not a runner but you want to walk the 5K course all you have to do is select the “Register Now” button above and choose the untimed 5K Run/Walk option. VIRTUAL WALKER: For those out of town, already have plans or not interested in physical activity but want to support SAVE Haven and/or the 5K, you can register as a virtual walker! FUNDRAISE: When you register for the Run for their Lives 5K you can easily set up a personal fundraising page and share it with friends and family. This can help us reach far into our community to help us keep homeless cats and kittens alive and in loving homes. When you choose to fundraise you will get a personal fundraising page and link. You may customize the page and share your fundraising link with others so they may donate online. You can even form a fundraising team? SPONSOR OR BE A VENDOR: You can also be a sponsor or vendor. We have plenty of options for companies and small businesses. If you would like to become a sponsor or a vendor please contact Pam Miller at pam@safehavenforcats.org. Make a greater impact by fundraising for SAFE Haven for Cats. By fundraising for SAFE Haven, you can have an even greater positive impact locally to benefit the animals in our area. SAFE Haven is Raleigh’s no-kill shelter and low cost spay/neuter clinic serving the Triangle area of North Carolina. More than 9,000 cats have been adopted and 25,000 sterilized in the 24 year history of the organization. You can have confidence that the money you help to raise will help homeless cats in our community. The money you raise can literally make the difference between neglect and nurturing, hurting and health, life and death or homelessness and a loving home. When you choose to fundraise, you get a personal fundraising page that you can customize. Add your personal message, set our fundraising goal, and share your fundraising link/page and encourage friends and family to help you support the cats. With 24 years of service to animals and the people of Wake, Durham, Orange, Johnston, Franklin, Granville and Harnett counties, SAFE Haven for Cats has a long-standing record of impacting the number of cats who do not have homes. The cats truly appreciate your generosity and your tax-deductible donation. Our Federal Tax ID# is 56-1916620.